Do you like Trump Run? Share it with your friends. 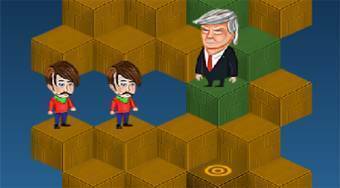 Trump Run - playing with Donald Trump move him on wooden blocks, avoid obstacles and try to gain as many points as possible.